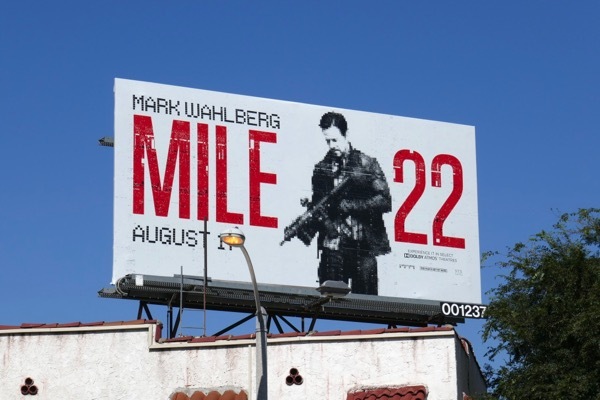 In his latest action film, Mark Wahlberg plays a CIA agent stationed in Indonesia tasked with getting a high-priority asset (played by action star and martial artist Iko Uwais) twenty-two miles to an extraction point with a bounty on his head. 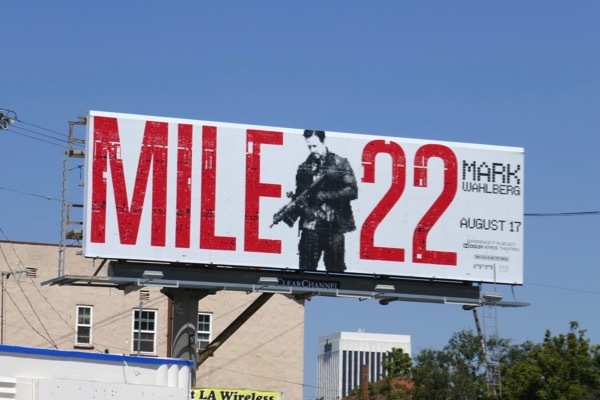 John Malkovich is the crime lord who wants the state police offer dead, whilst Ronda Rousey and Lauren Cohen are part of the CIA task force assigned the deadly mission. 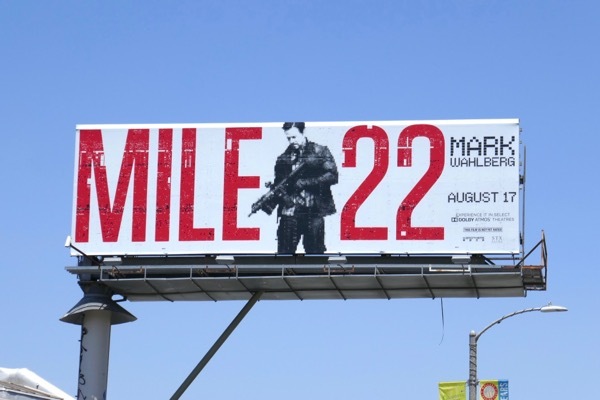 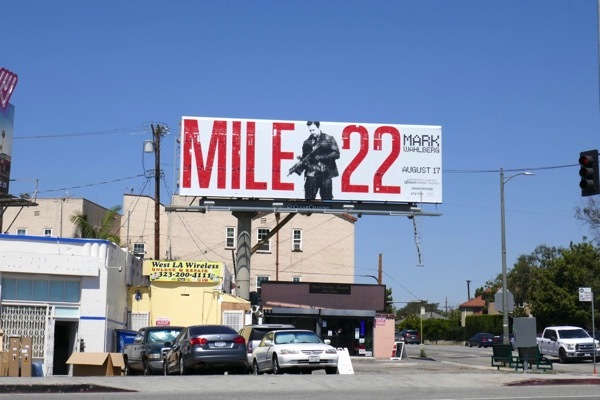 These Mile 22 movie billboards were photographed along La Brea Avenue, Melrose Avenue, Highland Avenue and Santa Monica Boulevard from July 6 to July 15, 2018. 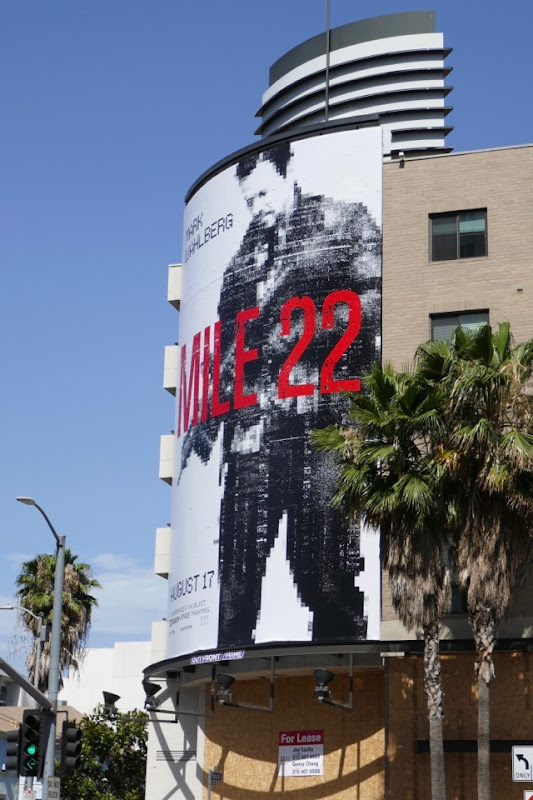 Fans of the actor can also check out all these Mark Wahlberg movie and TV billboards, including outdoor ads for Lone Survivor, Daddy's Home, Wahlburgers, Ted, Pain & Gain and more besides. 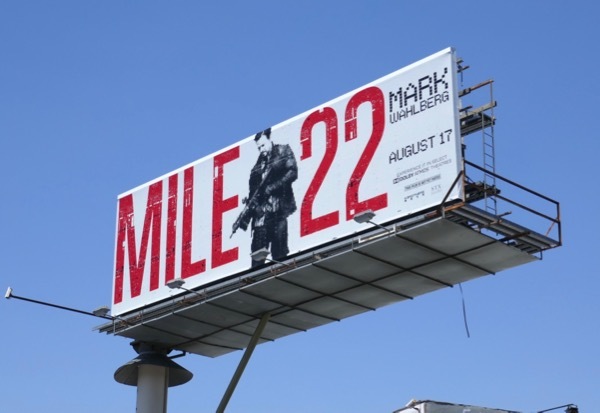 One day it would be nice if a film studio could use its imagination and realise it doesn't always have to use a man holding a gun to market an action movie.